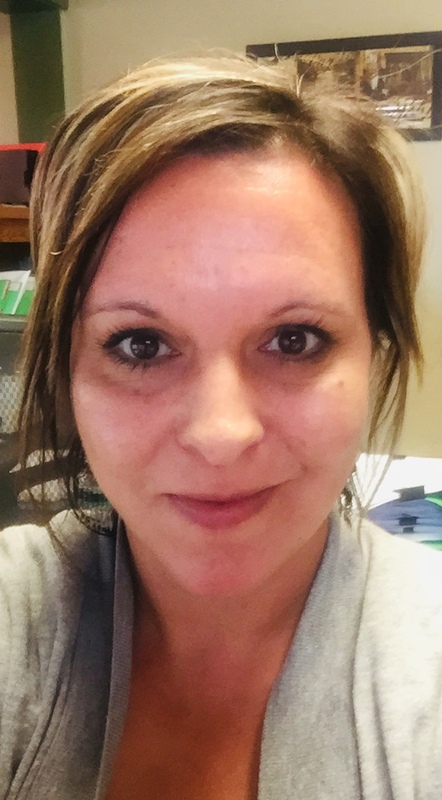 Tania Wildbill is the Owner/Founder of Wellness Wave, LLC, which was created in June of 2016, with the intention to promote health and wellness both in the City of Pendleton and on the Umatilla Indian Reservation. She is has her 500 ERYT with the National Yoga Alliance and is a Certified Amrit Yoga, Kripalu Yoga, Yoga Nidra. Yoga Therapist and Life Coach. She creates workshops for retreats and leads corporate and not for profit visioning. Yoga & Yoga Nidra: Tania teaches both Yoga and Yoga Nidra as a way to still the mind and awaken our breath. She also uses writing as a tool to discover our life intention. Tania Wildbill is also a certified Tai Chi: Moving for Better Balance, Zumba Instructor, Beachbody INSANITY Live and Imagination Yoga Instructor and teaches at her Downtown and Reservation Wellness Wave Yoga & Fitness Studio. Tania Wildbill, and her husband, Cedric, was the writer, producer, and director of the award winning documentary, American Cowboys. Wildbill graduated with a BA in French from Rice University in Houston, Texas and graduated with a Master of Science degree in Journalism from Columbia University in New York City in 1995. Wildbill was a producer, reporter, and anchor with both KASE/KVET Radio in Austin, Texas and the Texas Associated Press Network in Dallas, Texas. She studied literature at the Sorbonne University in Paris, France and with the Institute of European Studies. American Cowboys won Best Documentary Made for Public Television at the 1999 Great Plain Film Festival in Lincoln, Nebraska. In April of 2001 American Cowboys won Best Documentary at the New York International Independent Film and Video Festival. Wildbill worked for two years for Yellowhawk Tribal Health Center as a Life Coach-Community Outreach and hosted a weekly radio show “Wellness Works” on KCUW 104.3 FM. She has been the co-owner and partner of Wildbill Productions, LLC, since 1996. Wildbill was a presenter at the 2010 Texas Yoga Conference and was interviewed about the Yoga Round-Up on India Television Network on the Rene Lobo Show which was broadcast in New York, New Jersey, and Connecticut. In November of 2016, Tania Wildbill was awarded the National Indian Health Board Local Impact Award and her company, Wellness Wave, was recognized in December of 2017 as a Success Story by America's Small Business Development Centers of Oregon. Each Wellness Wave Coach has their own pricing. All life coach sessions may be help via Skype or FaceTime in addition to in person. Pre-payment with coaches is required. All payments are non-refundable and 24 hour cancellation is required. Christina is a life coach that focuses on helping others find balance in their life. Before coaching, Christina taught and still teaches children yoga. Has also been a preschool teacher for over 5 years with Love and Logic under her belt. Christina’s a self taught herbalist who works with others who want to incorporate herbalism into their life. 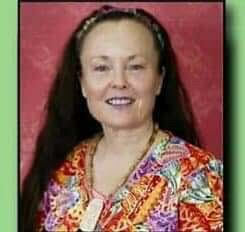 Christina has also practiced Reiki for over 10 years. Sunita Parke of Lighten Up - Ion Detox Foot Bath & More received her Certification for Wellness Wave Life Coaching January 2019. She incorporates her extensive training with intuition and insight thus bringing a depth to her sessions that enhances conscious awareness leading to personal growth. Cory received his 200 Hour RYT certification in classical Ashtanga yoga in 2014 at the Mount Madonna Center. Cory has found a lot of stillness in mind and body through the practice of pranayama and meditation. When teaching he uses what he learned on the mountain- concentrating on fundamental yoga poses, working on breath to allow a union of mind, body spirit and senses. If practiced enough this can translate so we all walk with these things in mind a little bit more everyday. Cory also enjoys talking about the sister science of yoga called Ayurveda. He plans to continue studies in both yoga and Ayurveda with the mindset of his guru Baba Hari Dass “teach to learn.” Cory also enjoys movement in hiking, Ultimate Frisbee and swimming. He loves cooking and hanging out with his family, friends and two orange cats. Erika received her 200 Hour RYT certification in classical Ashtanga yoga in 2014 at the Mount Madonna Center. From there she has led a variety of classes, from gentle restorative to "fire" flows designed to make you sweat! Whatever style, she believes in staying with the breath and modifying for the individual. There isn't one perfect way to do a pose in yoga- there are as many perfect poses as there are people. Advanced yoga isn't about the shape you make, but rather the unity of body, mind, and breathe. That is the mindset of Erika's classes. Erika also received her Doctorate of Physical Therapy May 2018 and practices her love for healing through movement both in the clinic and on the mat.